Carrots are versatile whole foods readily available year round. 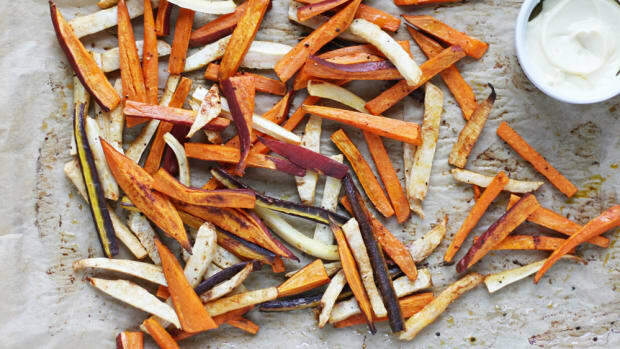 Although certain preparation of carrots renders the veggies slightly bland and leaves little to the imagination (sorry, steamed carrots), roasting whole carrots not only makes these vegetables sweet and delicious, but impressive looking, too. Here’s how to make perfect roasted carrots with only a handful of pantry staples in under 30 minutes. Carrots are filled with vitamins and minerals. 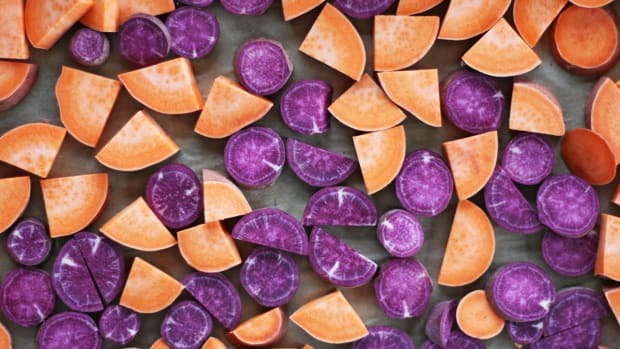 Their claim to fame, a high vitamin A and beta-carotene content, ensures that these veggies promote eye and skin health along with oxidative stress-fighting antioxidants. 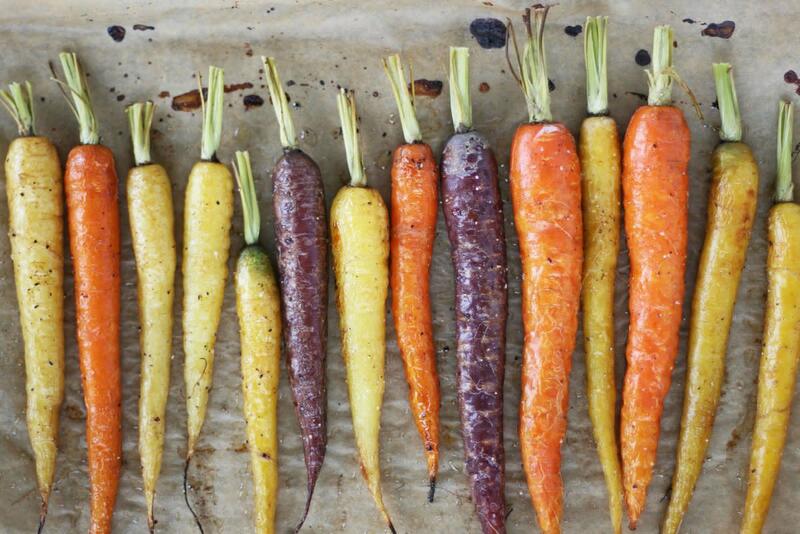 Carrots also are good sources of fiber, biotin, vitamin K, C, B6, B3, B1, potassium, and manganese. Carrots can be found year round at grocery stores, or seasonally at the farmers market early spring through early winter. 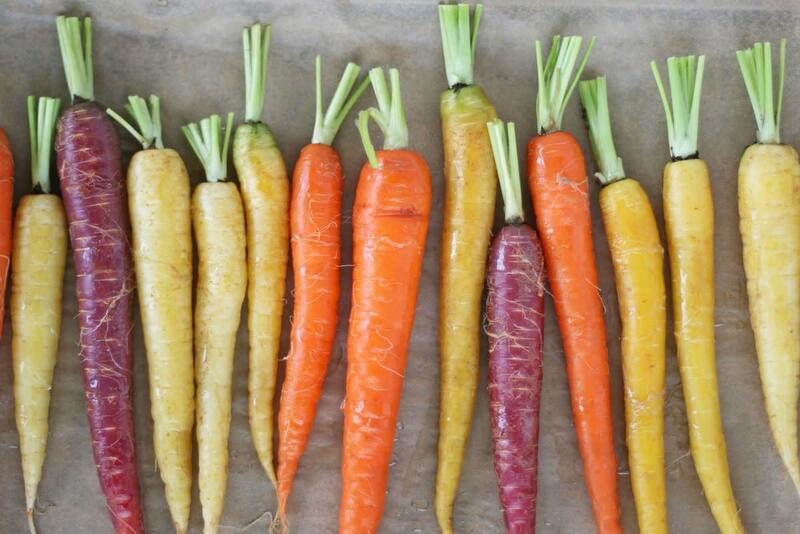 Although orange is their common hue, carrots also come in a variety of colors including white, purple, yellow, and red. When purchasing carrots at the market, look for plump vegetables with skin free of lines or deep wrinkles. If carrots have greens attached, select a bunch that has crisp greens that show no sign of wilting. If you happen to purchase a bunch with greens, don’t toss those tops! 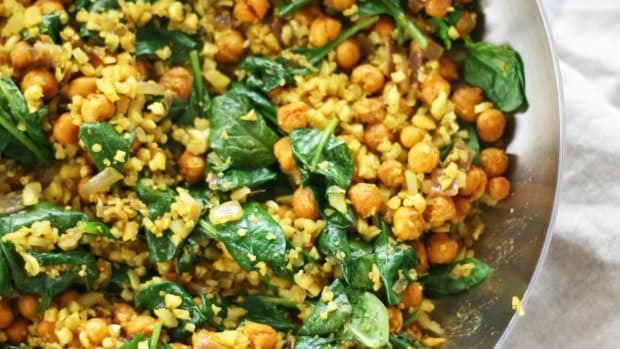 Simply use carrot greens for sauces like pesto or chimichurri, salad dressings, juices, or soups. Although carrots do not fall on the Environmental Working Group’s Dirty Dozen roundup, purchase organic when possible. 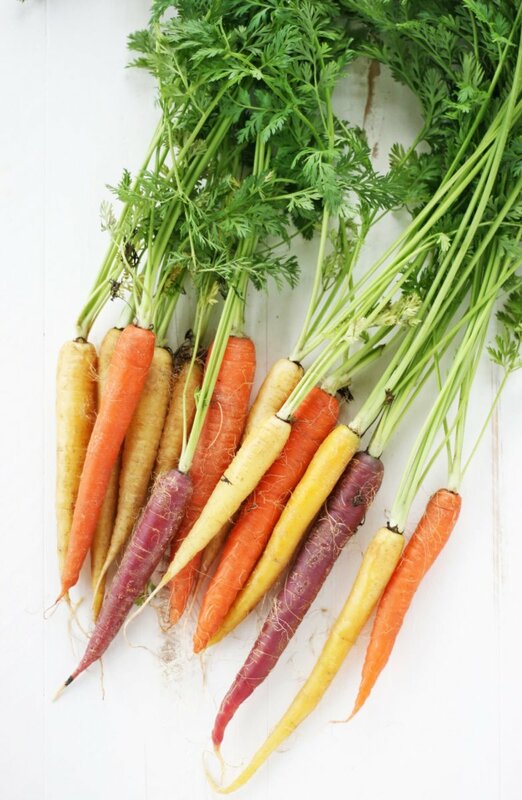 Organic carrots are grown in organic soil, which produces a more nutritious vegetable – along with healthier farming and environmental practices. Organic carrots are inexpensive, delicious, and commonly found at the grocery store and farmers market. 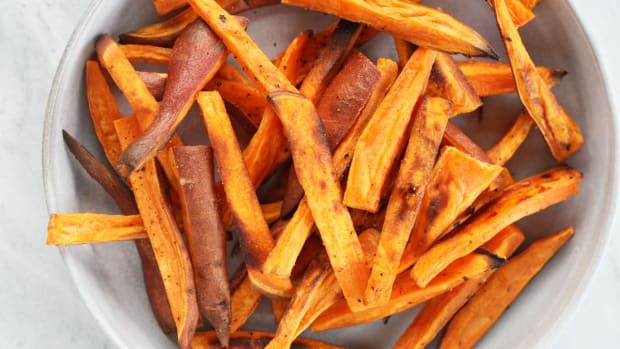 The best part about this delicious roasted carrot recipe (other than its sweet taste) is just how simple it is. 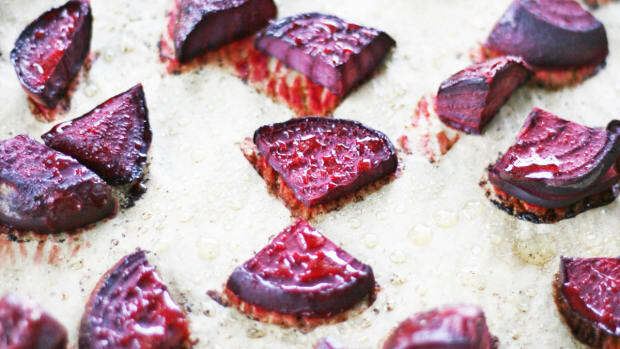 Simply line a baking tray with parchment paper, give carrots a good rinse, and add them to tray. 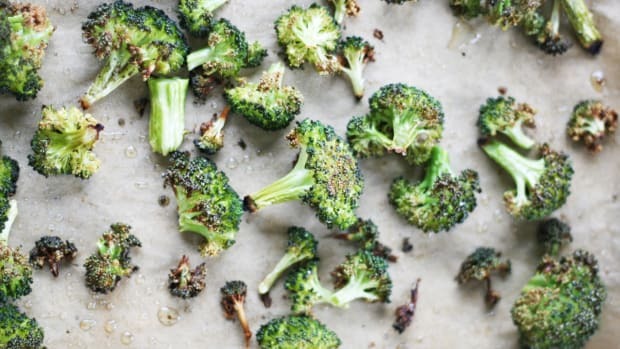 Drizzle carrots with a high-heat cooking oil, such as ghee or avocado oil, sprinkle with sea salt, and pepper, and roast away. 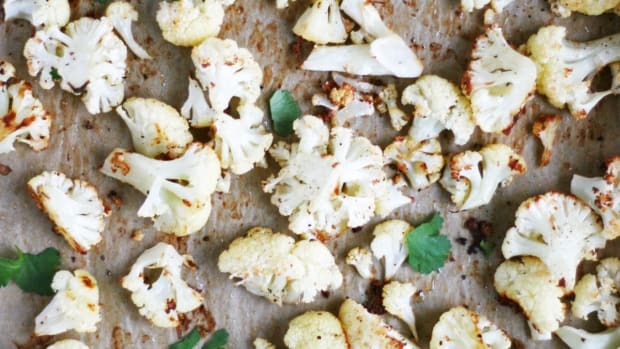 In just 25 minutes, these humble vegetables will be roasted and caramelized to perfection. Preheat oven to 425 degrees Fahrenheit. Line a baking tray with parchment paper. Add whole carrots to baking tray and drizzle with ghee or avocado oil, sea salt, and black pepper. Roll carrots around to evenly coat. 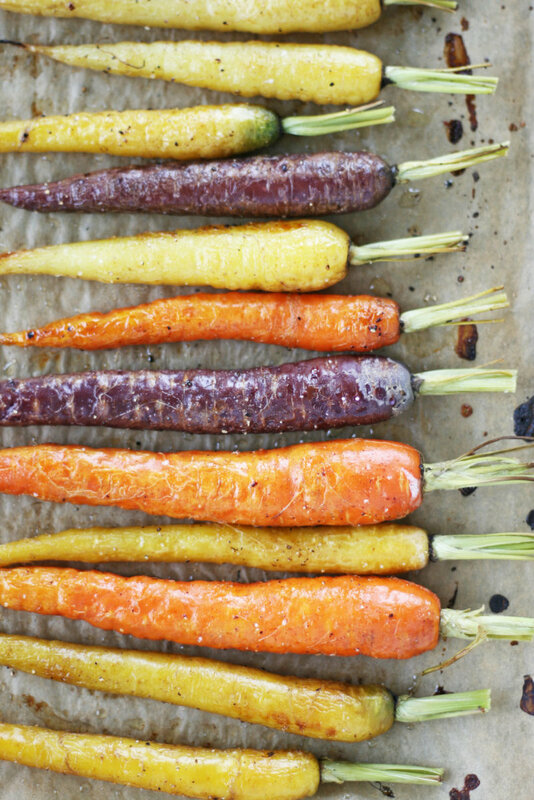 Roast carrots for 20-30 minutes, or until gently browned and caramelized. Carrots should be easily fork tender, but not overly mushy. 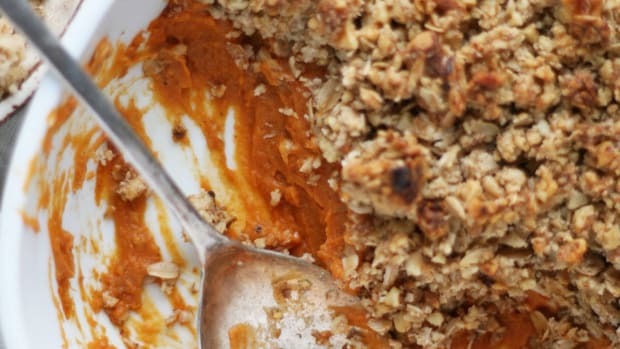 Remove carrots from oven and enjoy!